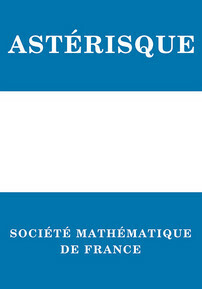 This volume is the first of a series of two devoted to automorphic forms from a geometric and arithmetic point of view. They also deal with certain parts of the Langlands program. The themes treated in this volume include \(p\)-adic modular forms, the local Langlands correspondence for \(GL(n)\), the cohomology of Shimura varieties, their reduction modulo \(p\), and their stratification by Newton polygons. The book is suitable for graduate students and research mathematicians interested in number theory, algebra, and algebraic geometry. Graduate students and research mathematicians interested in number theory, algebra, and algebraic geometry.